A farm can often invoke an image of a peaceful place full of fresh air. However, there is a darker side to the idyllic atmosphere. Every year, thousands of farm workers are injured. Hundreds will die. According to the National Safety Council, agriculture is the most hazardous industry in the United States. Farming equipment and chemical exposure can cause farmers and farm workers catastrophic injuries. Common agricultural chemicals include fuels, solvents, insecticides, herbicides, fertilizers and veterinary chemicals. Farmers must use caution and care when storing, transporting using or disposing of the chemicals. Vapors or direct exposure can lead to acute and chronic health effects. This includes headaches, poisoning, burns, birth defects and even some form of cancer. Even though chemicals are dangerous, machinery is the highest risk factor to farmers. Tractors are the most dangerous causing the two main types of accidents: rollovers and runovers. Rollovers occur if a tractor is unbalanced and will tip. Runovers occur when the driver or passenger falls off the equipment or is unseen by the drive and is run over by the tractor or trailing machinery. Every fifth fatality from a tractor occurred when the tractor the hauling equipment rolled over and crushed the operator. 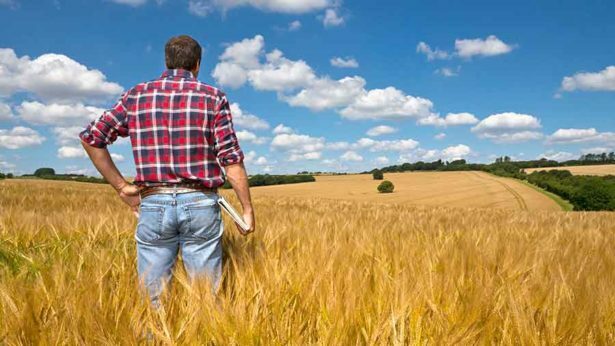 According to the Occupational Safety and Health Administration, there are certain factors that may increase the risk of injury or illness for farmers. Injury rates are highest among those 15 and younger and adults over age 65. An estimated 500,000 workers are aged 65 or older. Because no mandatory retirement age exists for farmers, many continue to perform some tasks even though they are unable to execute them safely. One in nine farmers aged 65 and older have been involved in a tractor rollover. Since farmers live in rural areas, hospitals and EMS are often a far distance away from the farm. According to The Department of Justice, response times could be upwards of an hour before the injured receives medical care. Also, a majority of the 300 yearly fatalities and thousands of injuries each year involve machinery. The most commonly utilized pieces of equipment around the farm are tractors, trucks, wagons, mowers, spreaders, grinders, blowers, augers, post hole diggers, shredders, balers, rakes, combines, and all-terrain vehicles (ATVs). No matter how different they are if used improperly or carelessly can be fatal. Fifty percent of total farm fatalities involve tractors and 14% are machinery related. A breakdown of the machinery related fatalities is as follows: 34% corn pickers, 11% silage handling, 11% hay baling, 11% manure handling, and 33% other miscellaneous farm machinery. Still, defective farm equipment results in many farming injuries, and you may be entitled to compensation. If you are an injured farm worker, if one of your family members has been injured or died working on a farm, or if you have lost wages due to injury, contact us for a free and confidential consultation.